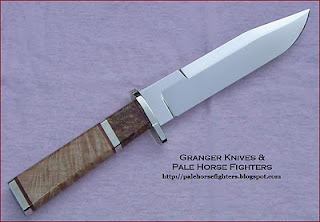 A Sabre-Ground Bowie forged from O-1 Tool steel. 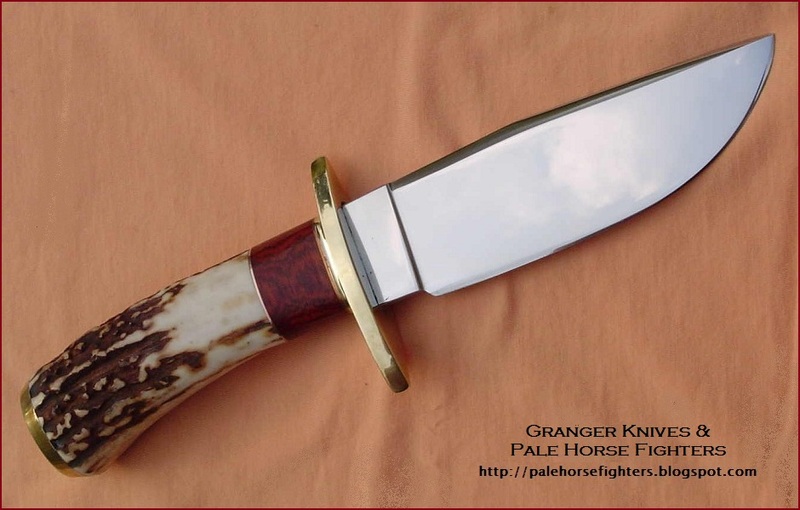 It features nickel-silver hardware and tiger maple handle with a black ash burl spacer, all stabilised of course. Click either picture to enlarge. Above a 5 inch fighter of forged 52100 featuring brass hardware. The handle is sambar stag with a cocobolo spacer accented with brass and copper washers.